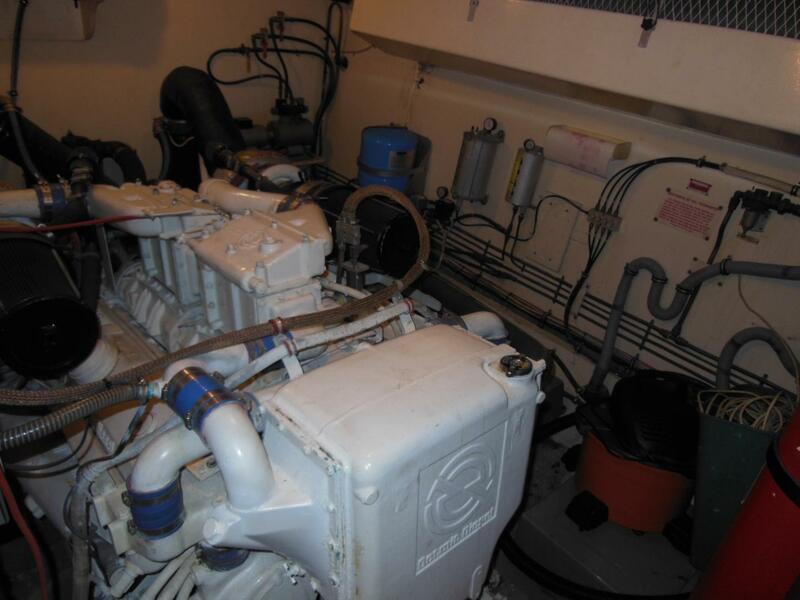 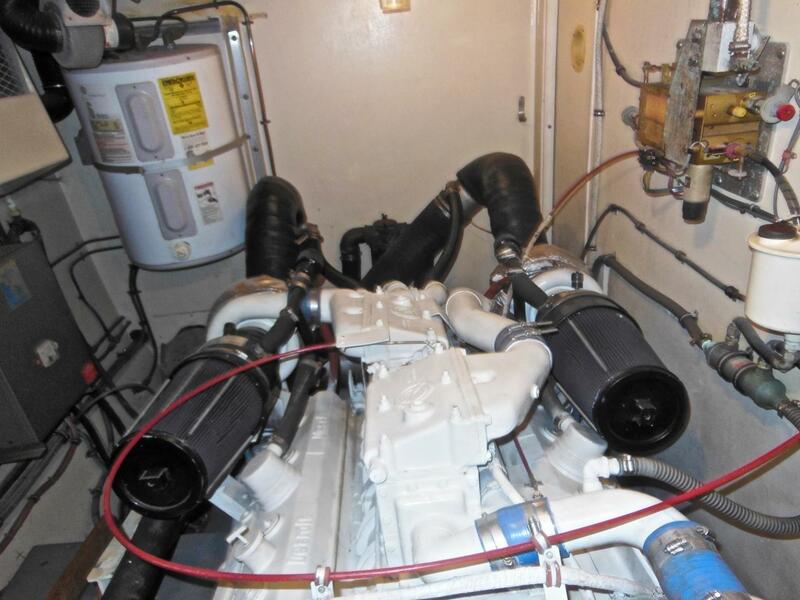 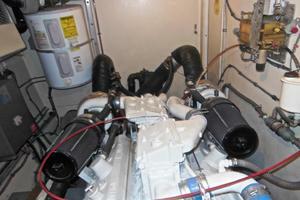 GM 650hp 12V71 diesels (about 20 knots top). 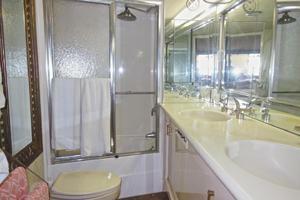 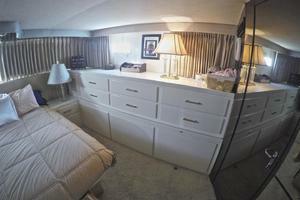 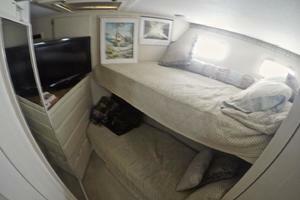 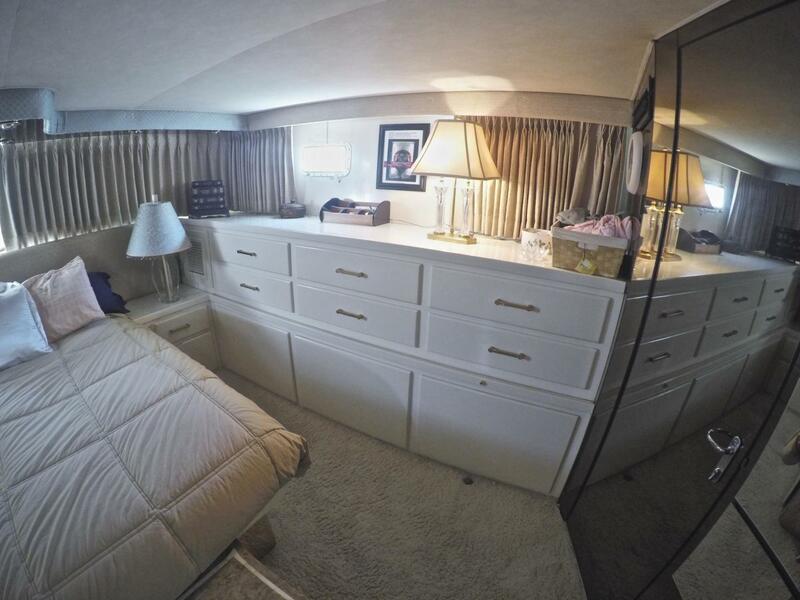 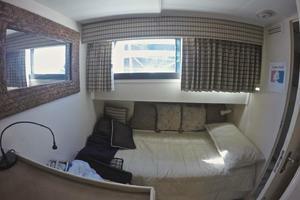 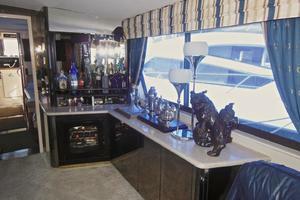 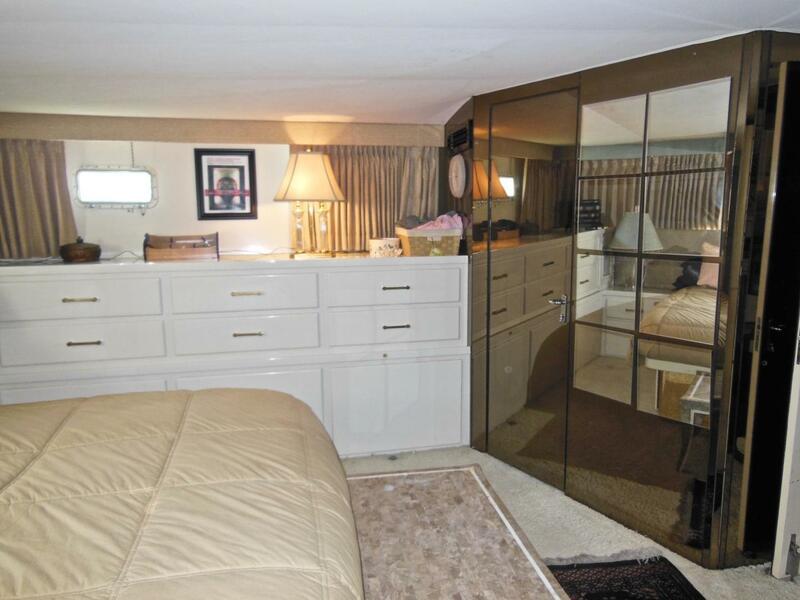 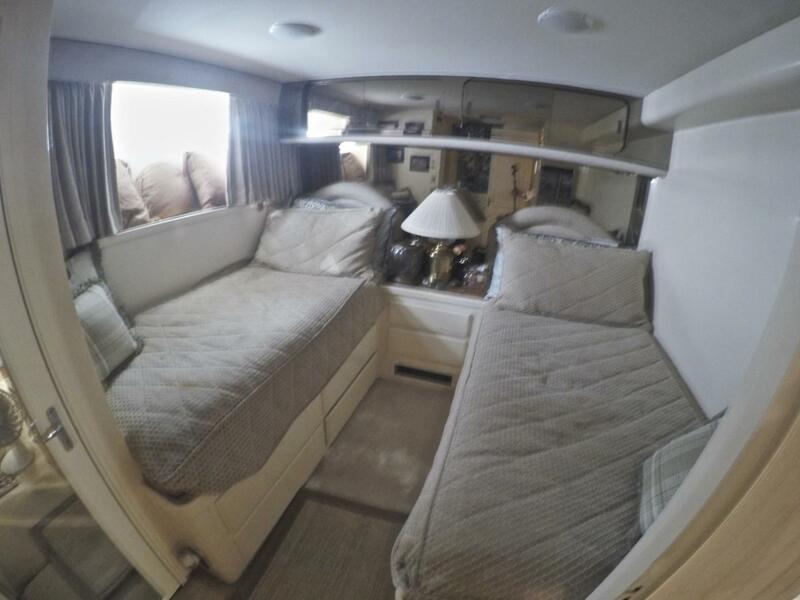 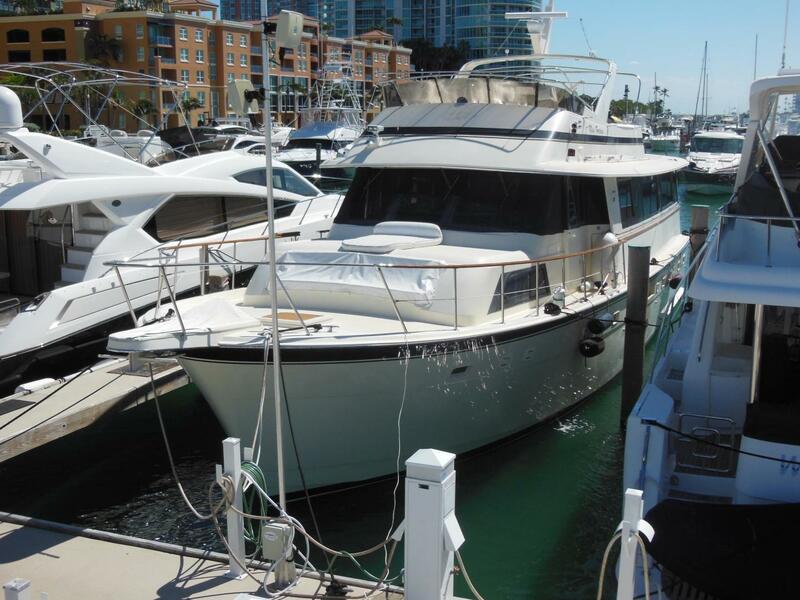 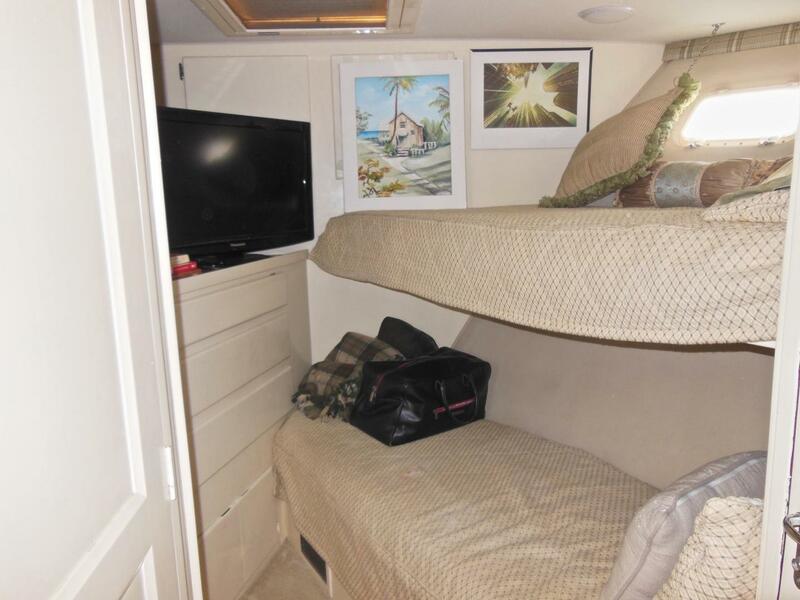 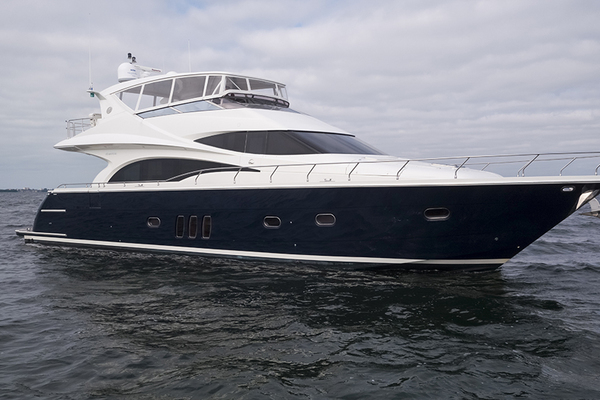 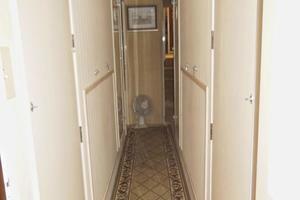 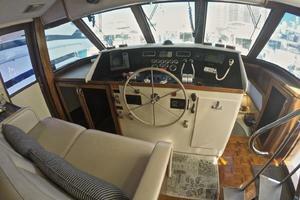 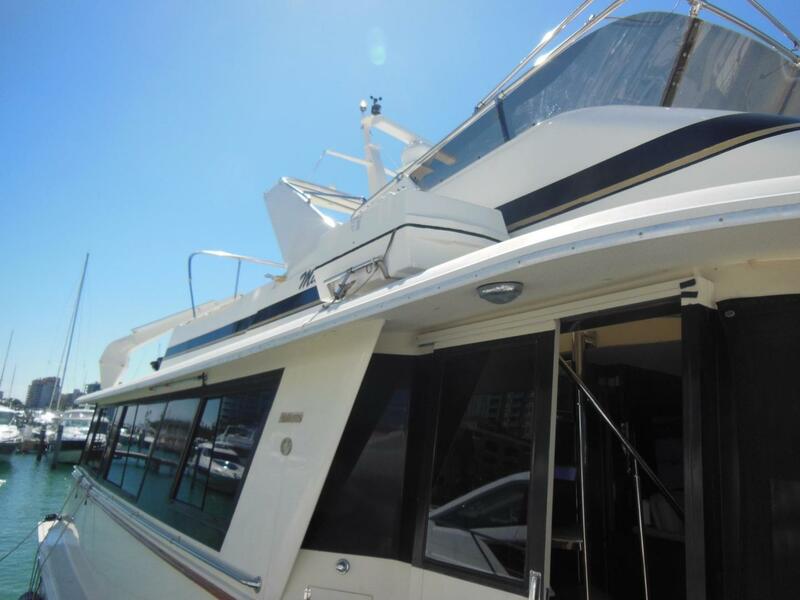 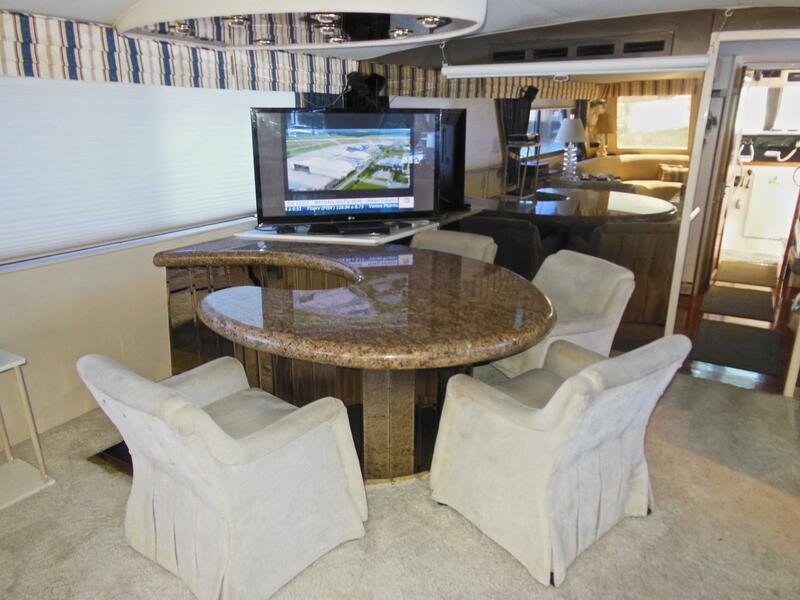 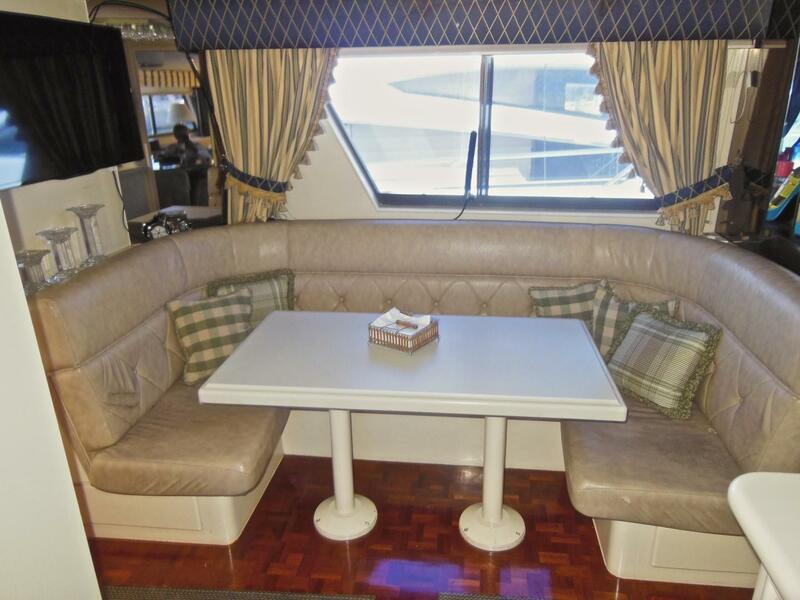 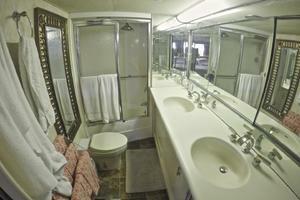 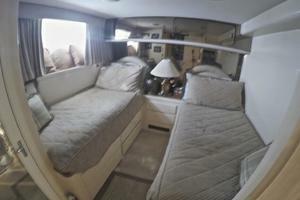 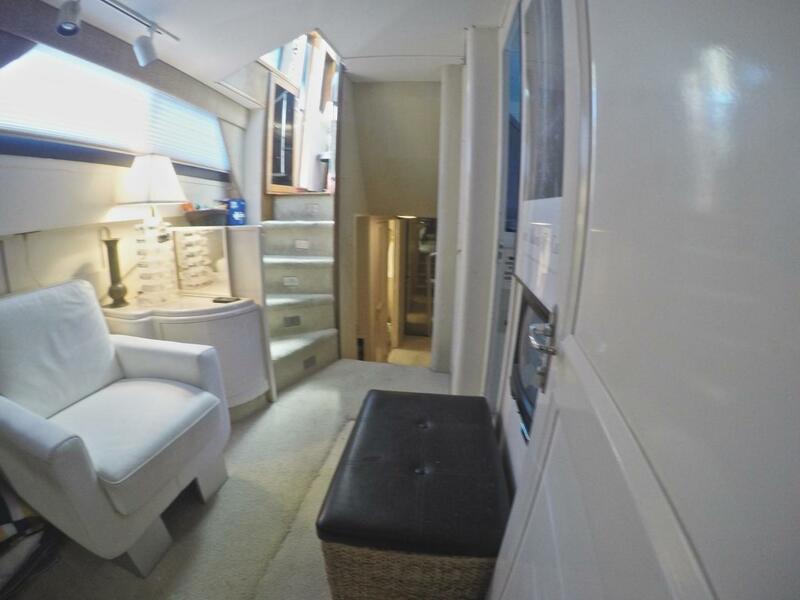 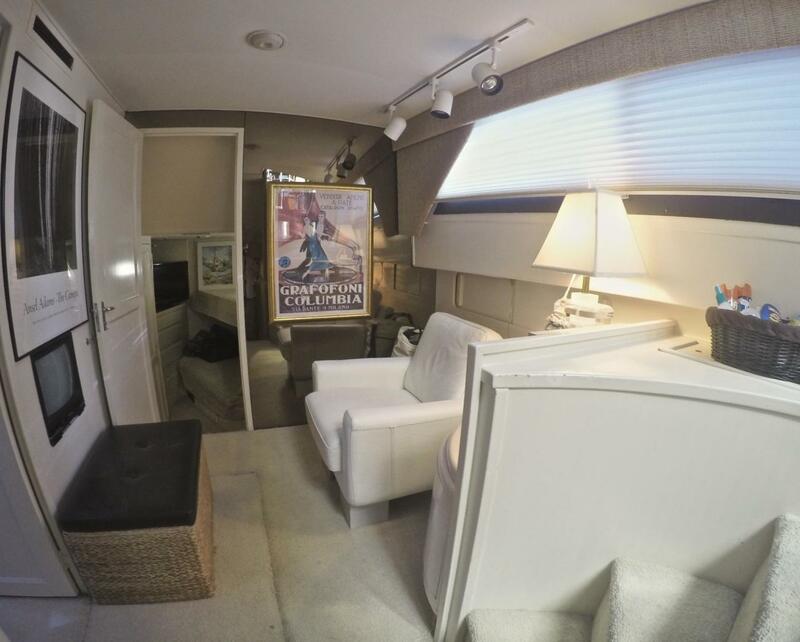 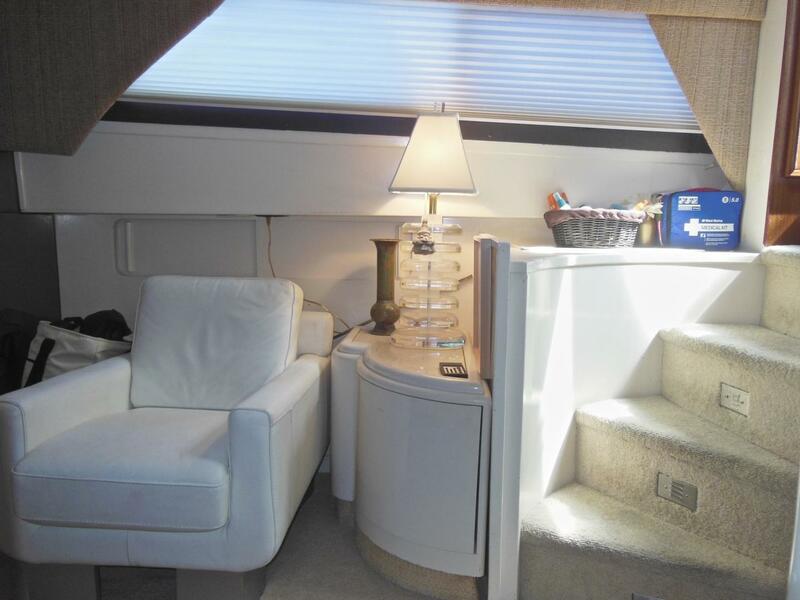 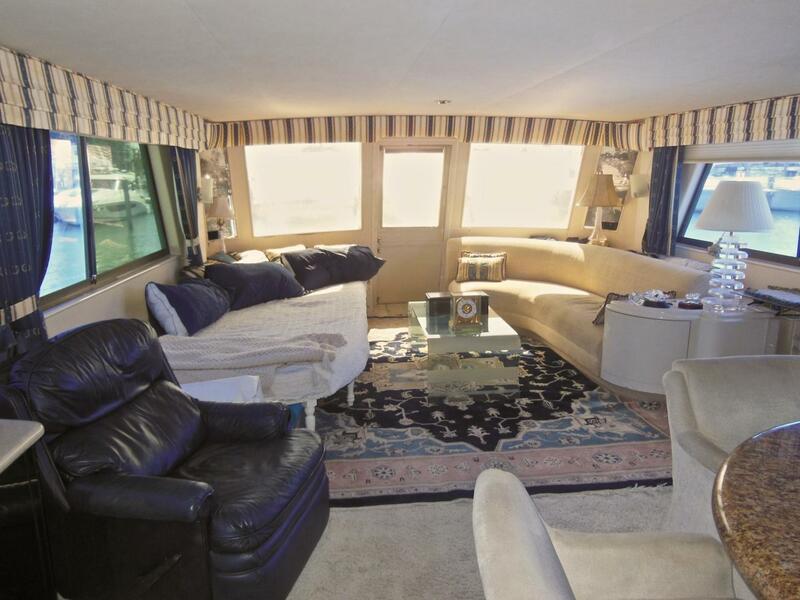 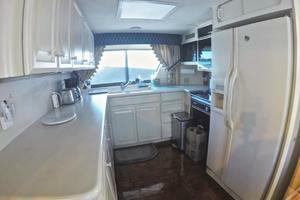 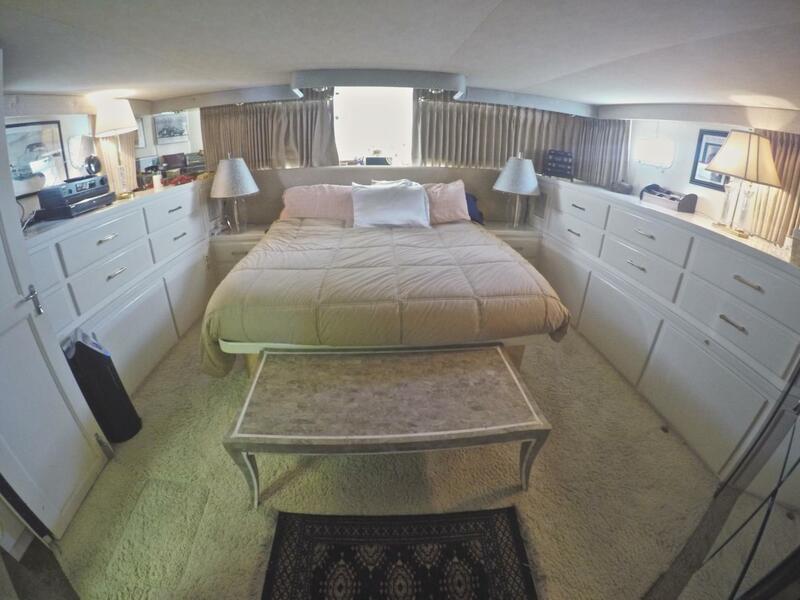 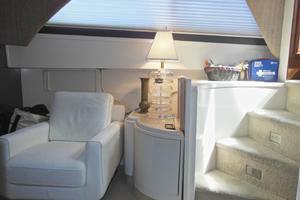 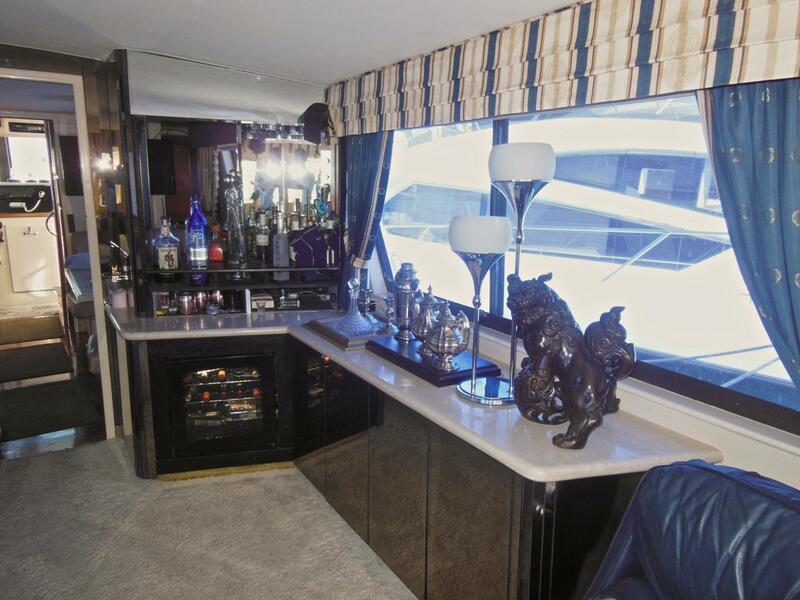 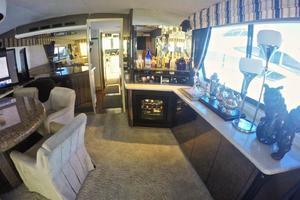 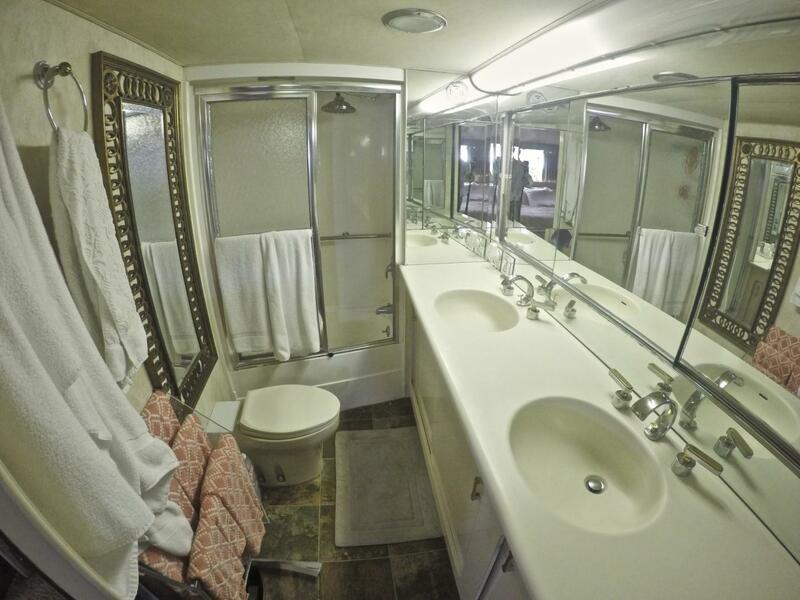 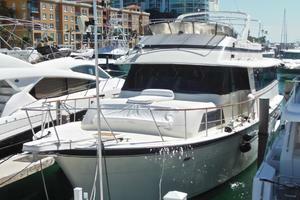 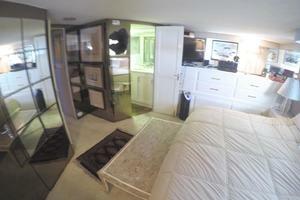 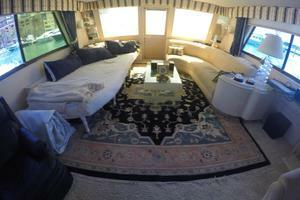 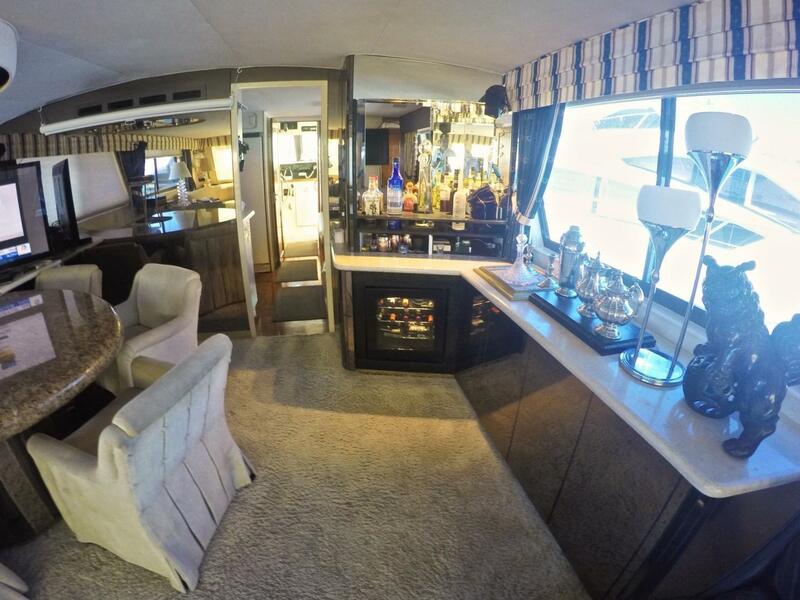 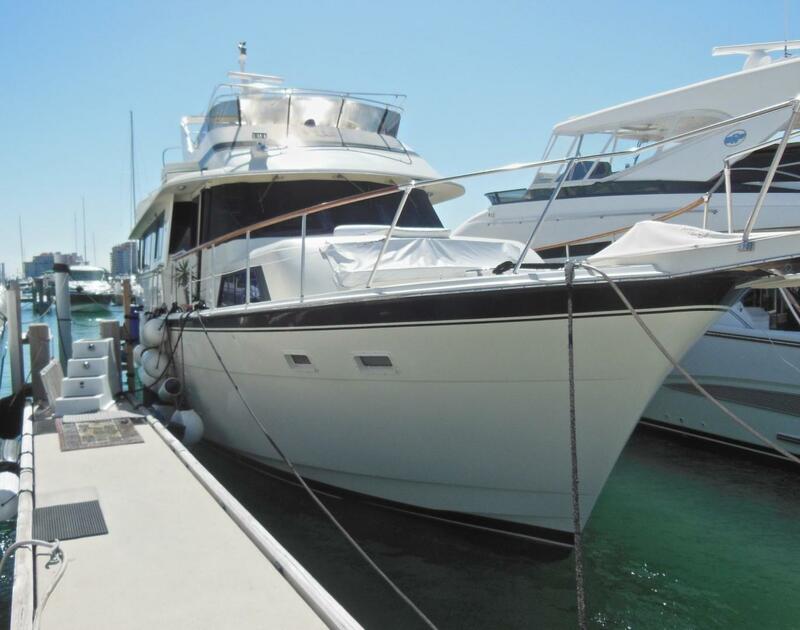 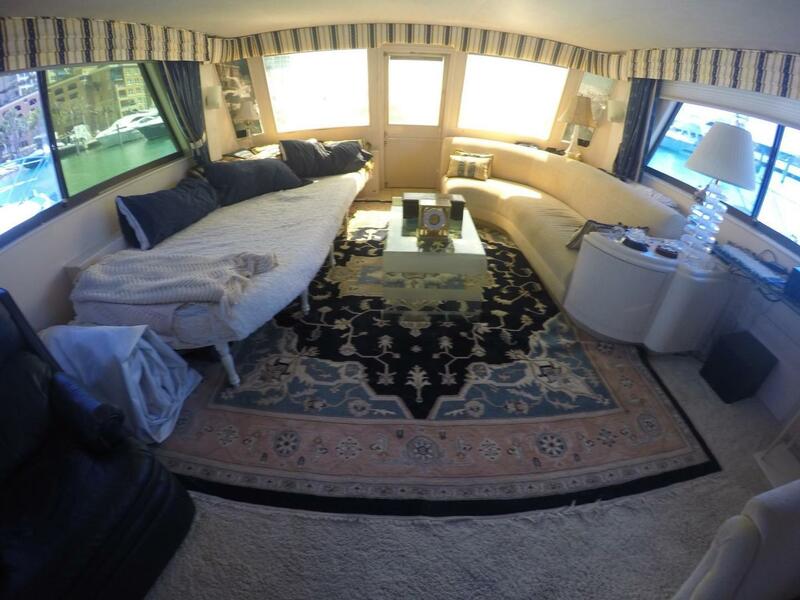 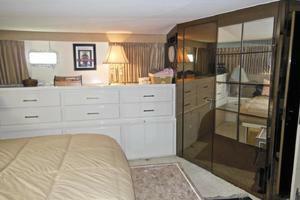 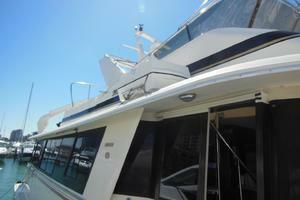 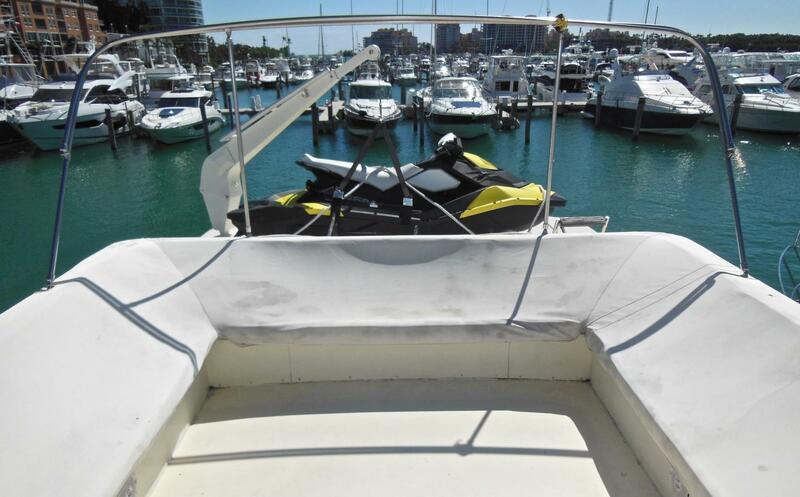 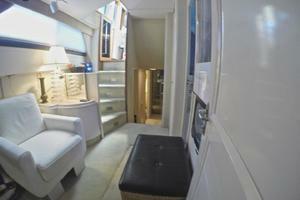 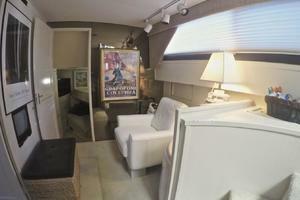 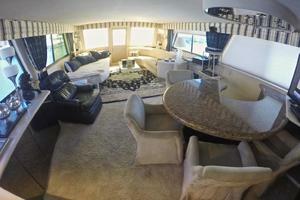 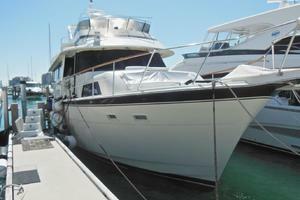 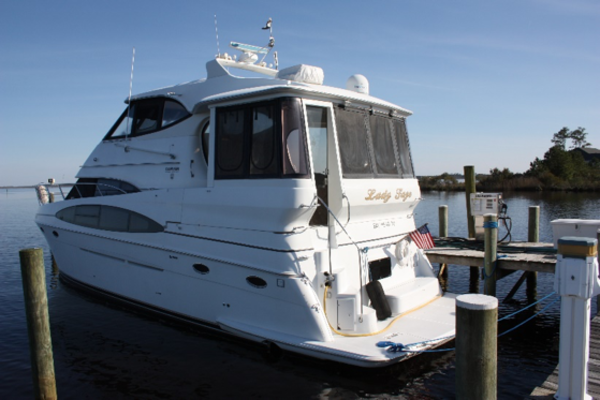 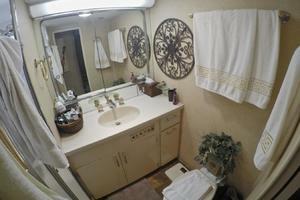 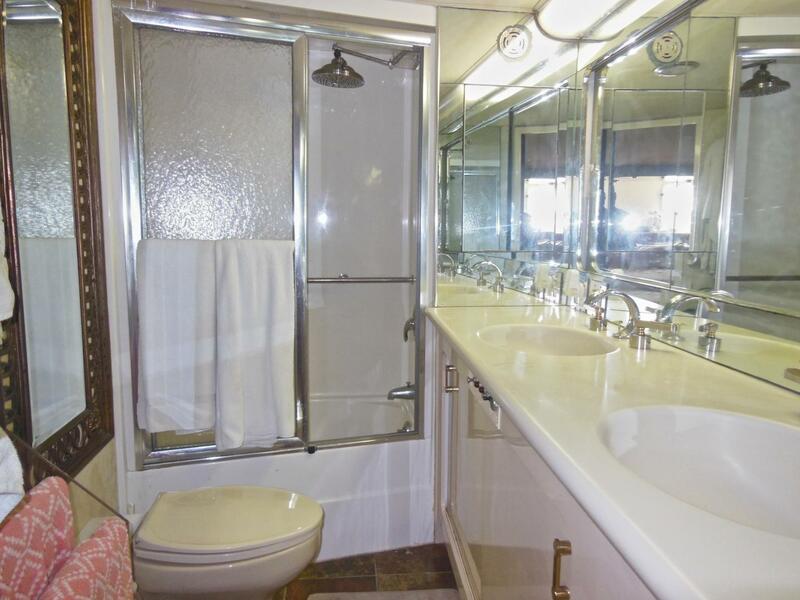 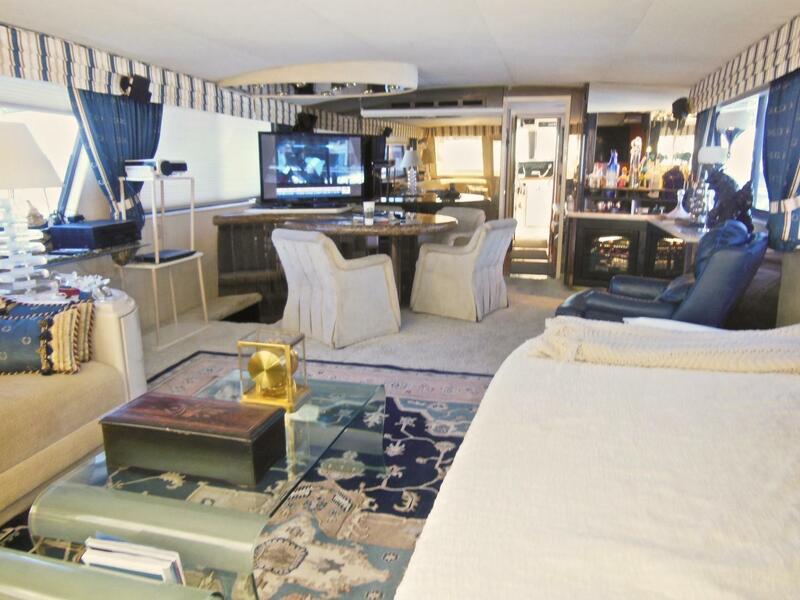 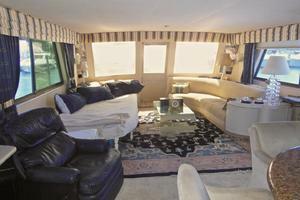 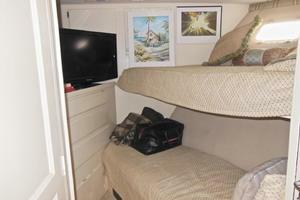 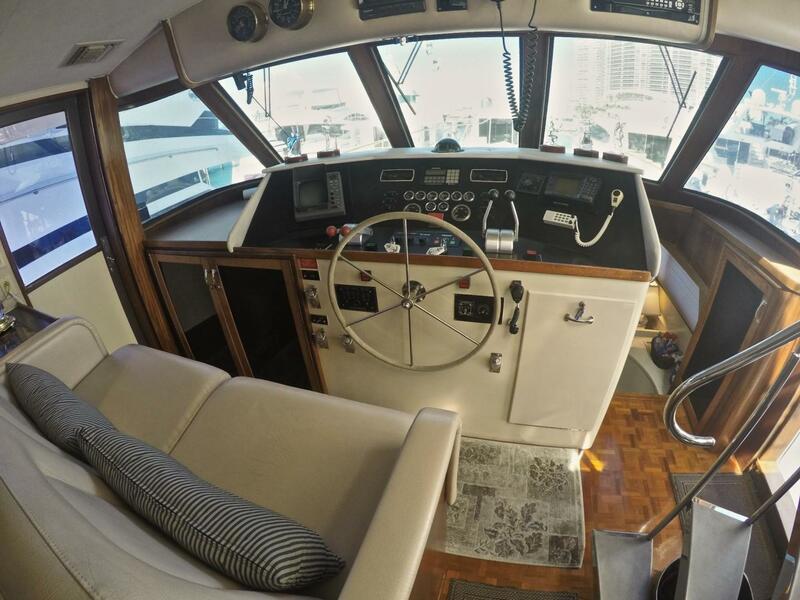 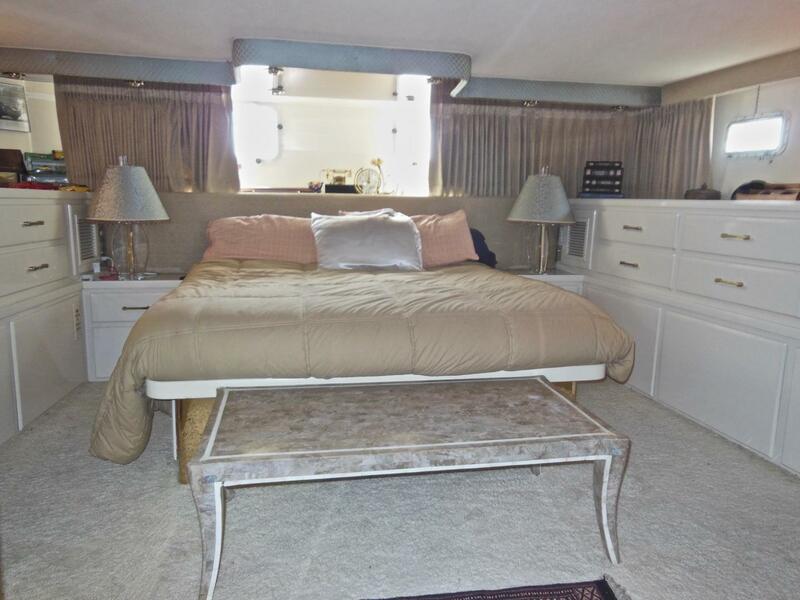 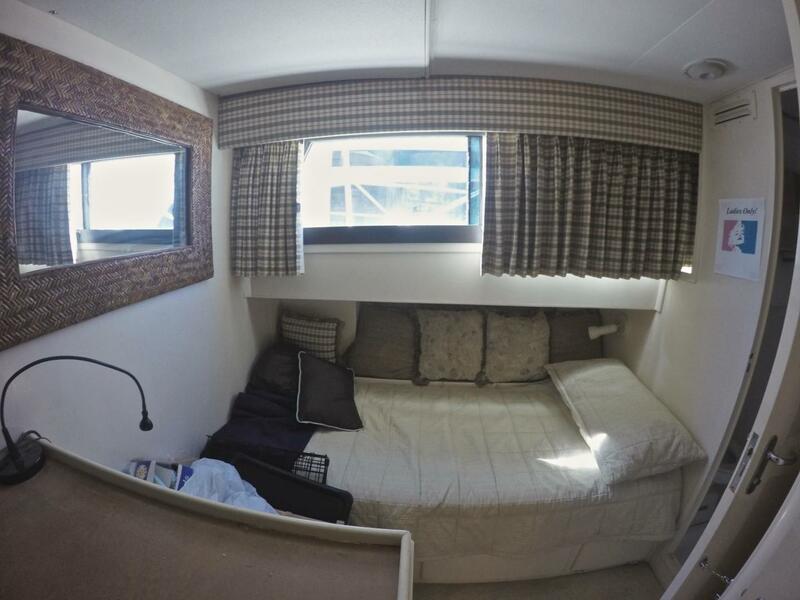 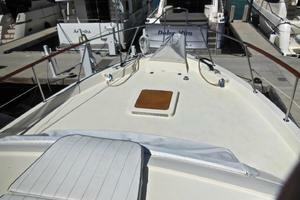 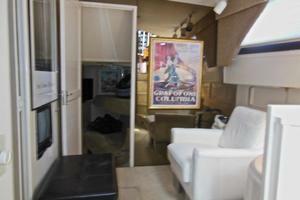 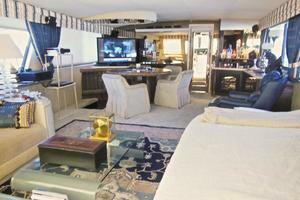 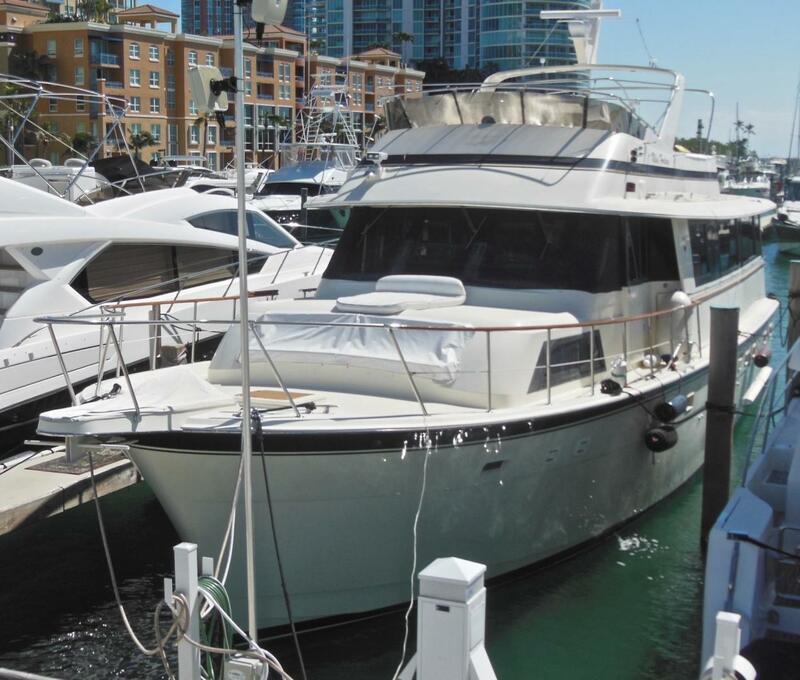 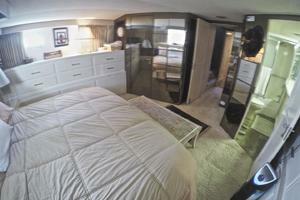 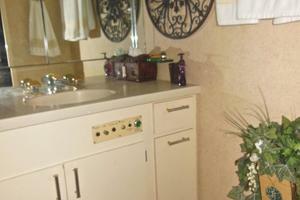 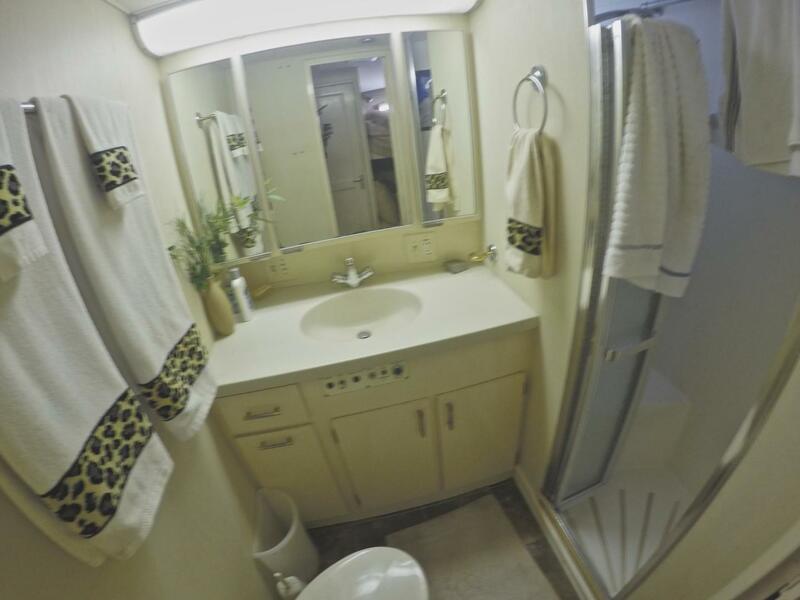 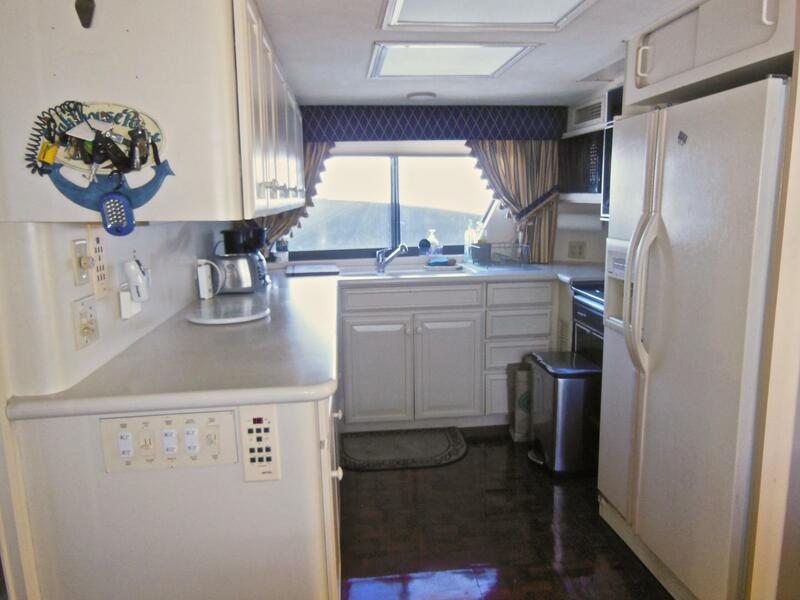 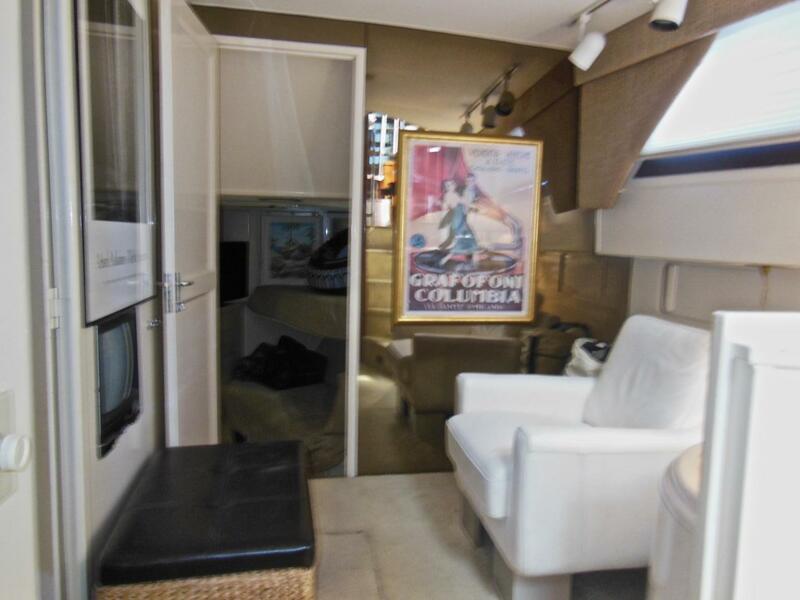 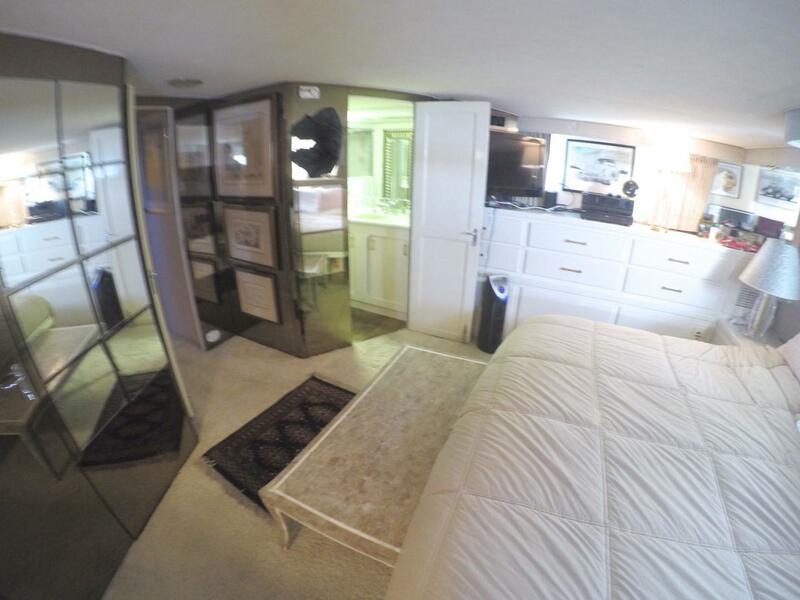 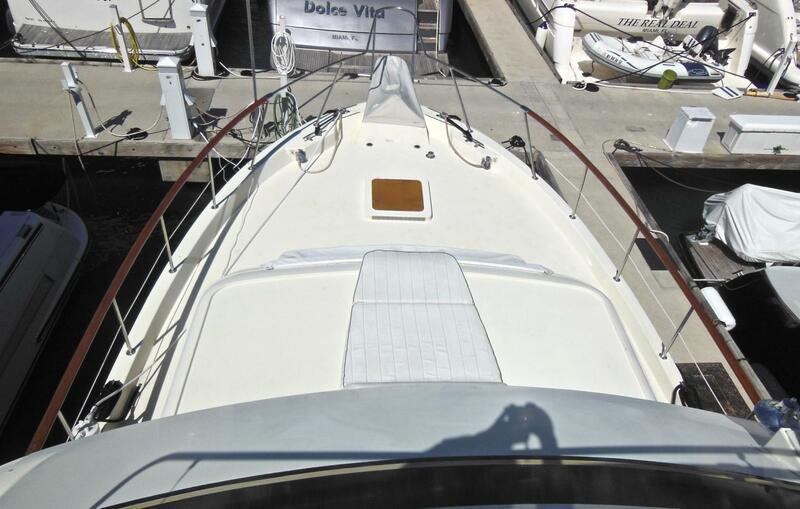 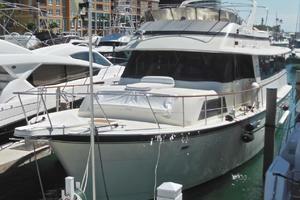 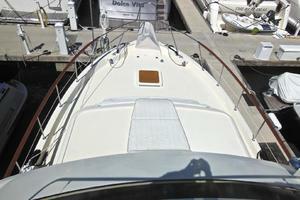 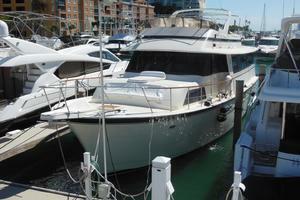 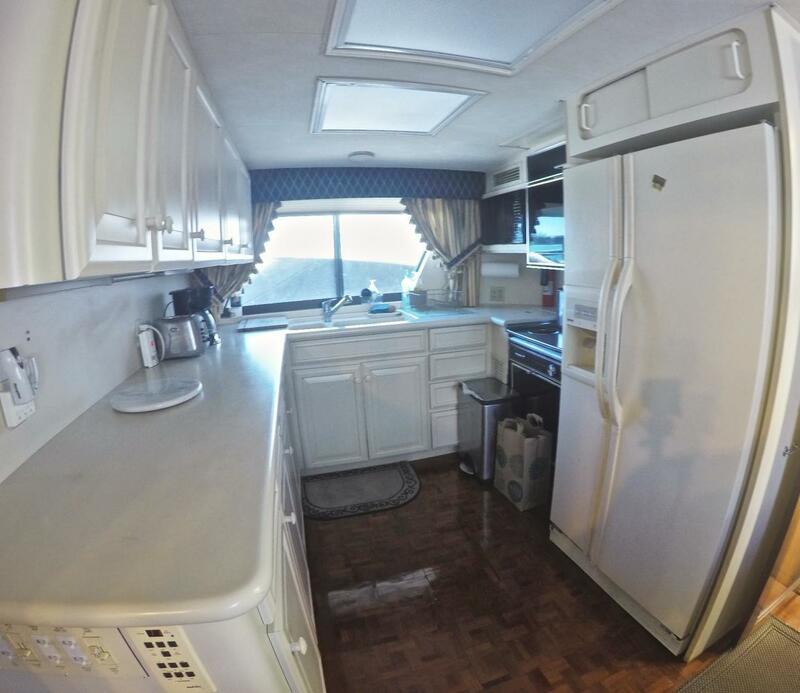 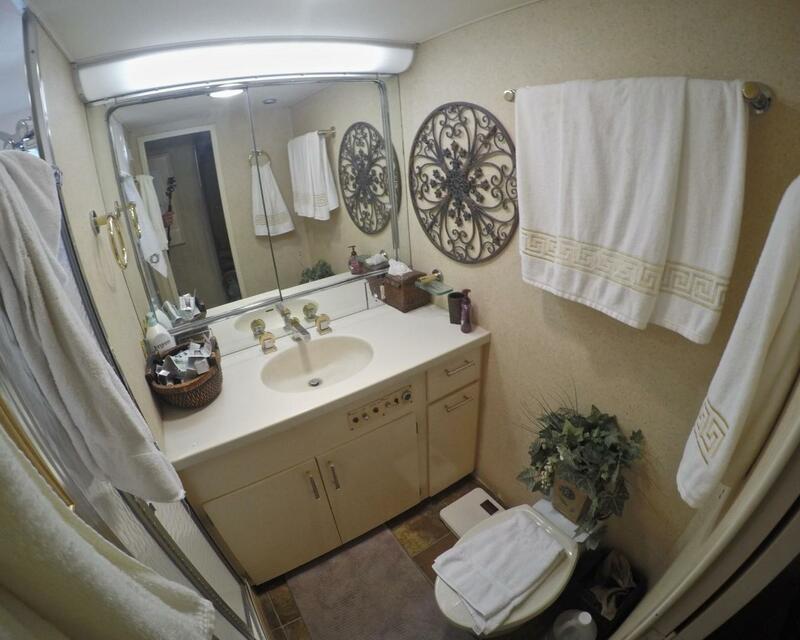 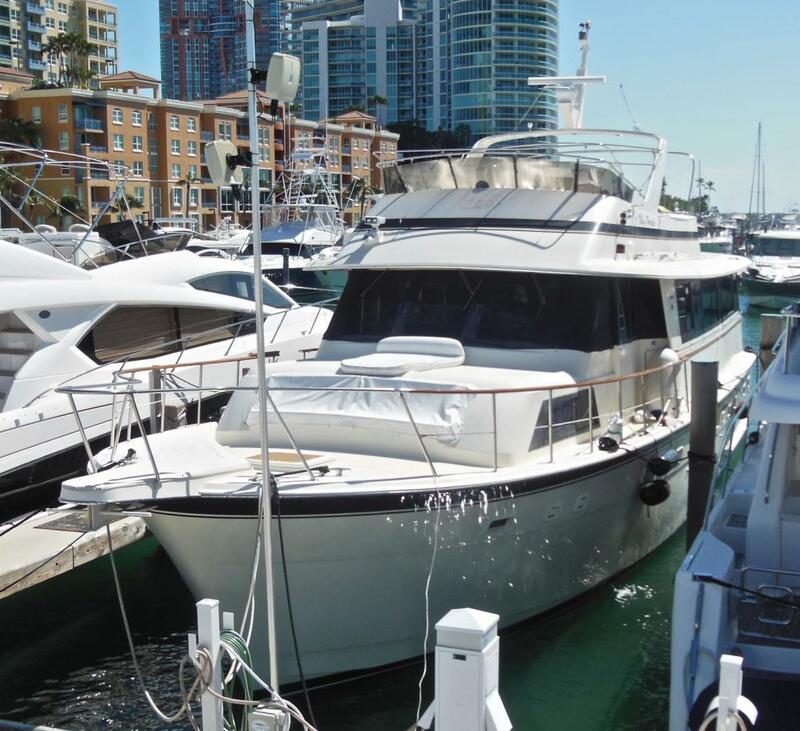 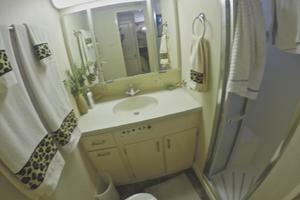 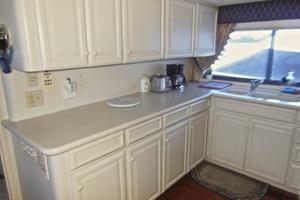 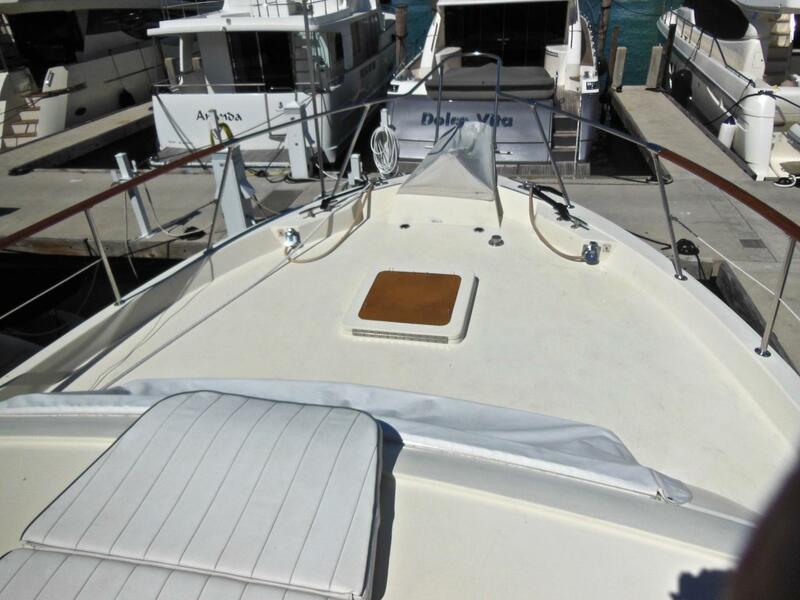 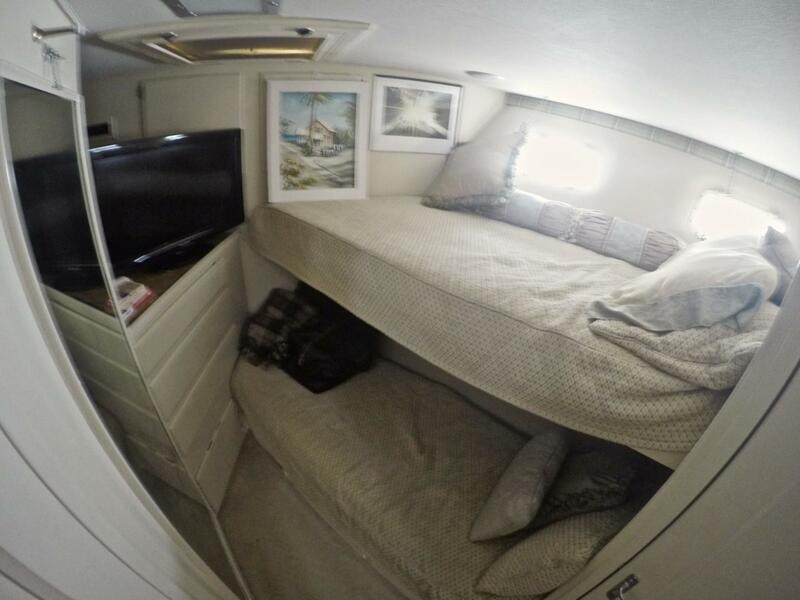 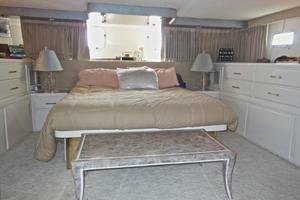 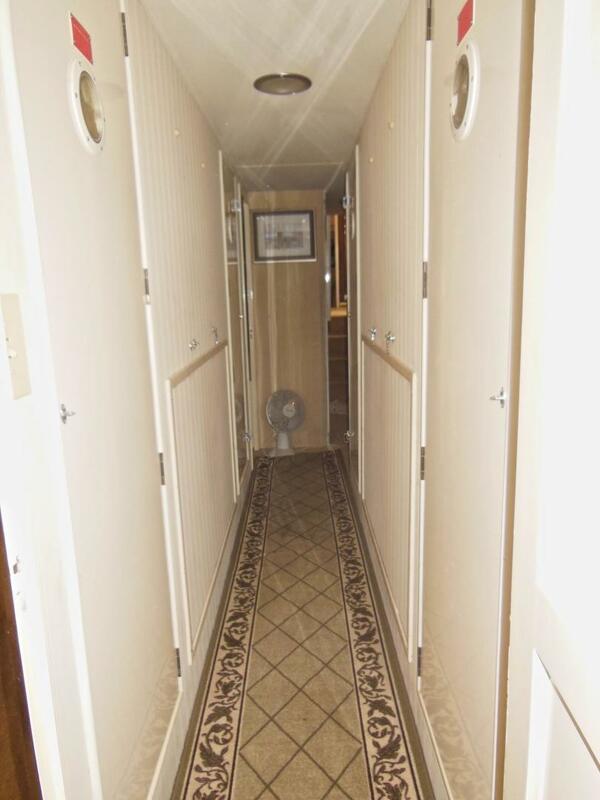 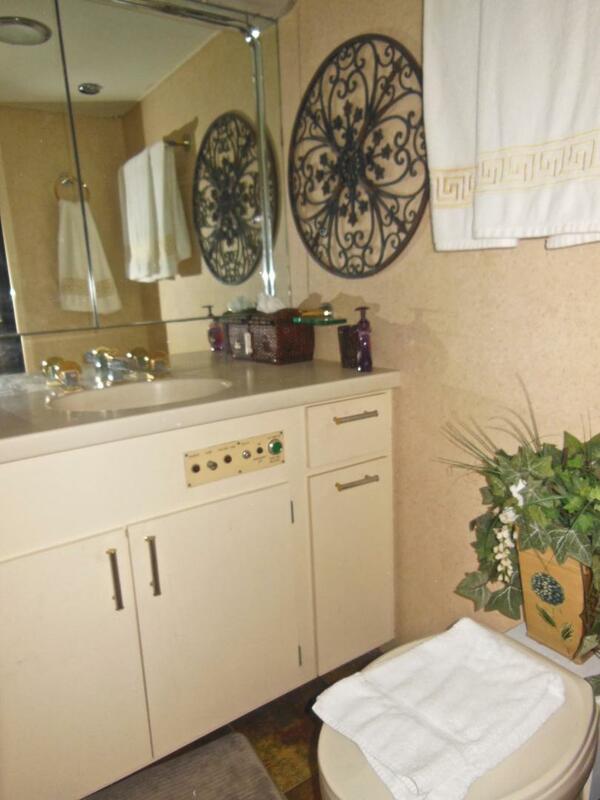 Highly desirable galley up is located between the pilothouse and the main salon. 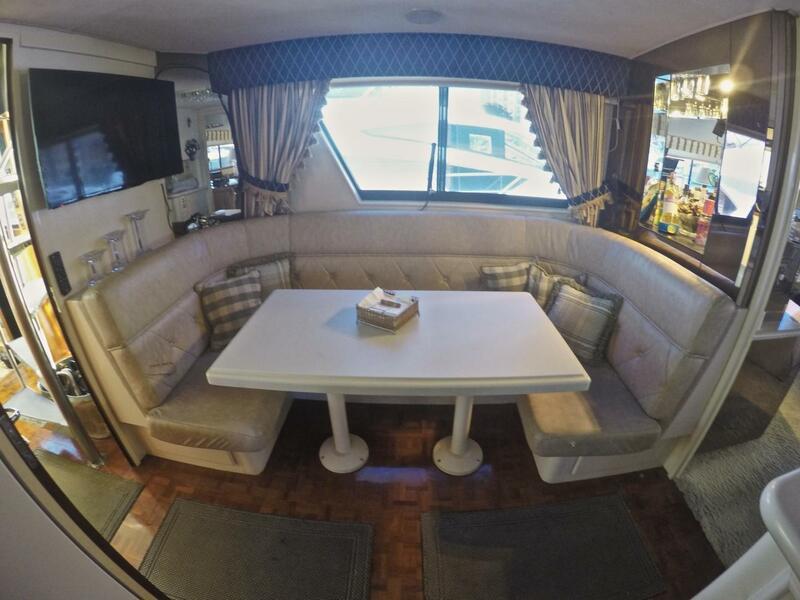 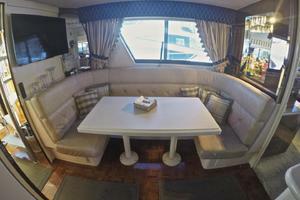 The galley has its own separate settee area for more casual dining. 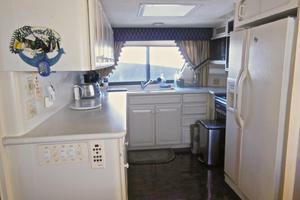 4 burner cook top, oven, microwave, full-size refrigerator/freezer, double sinks, dishwasher etc. 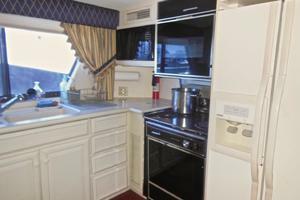 makes this galley fully functional for preparing gourmet meals on board. 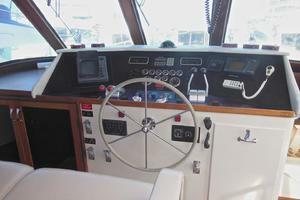 Forward deck has the electric anchor windlass with the foot controls. 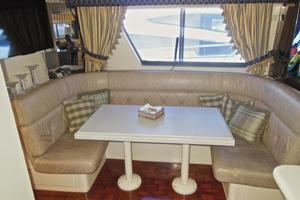 A separate seating space facing forward with vinyl cushions in excellent condition. 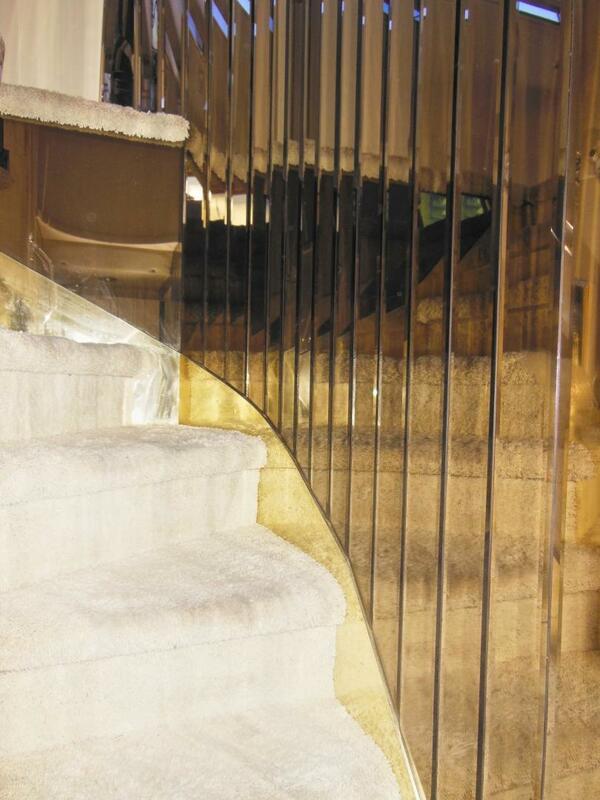 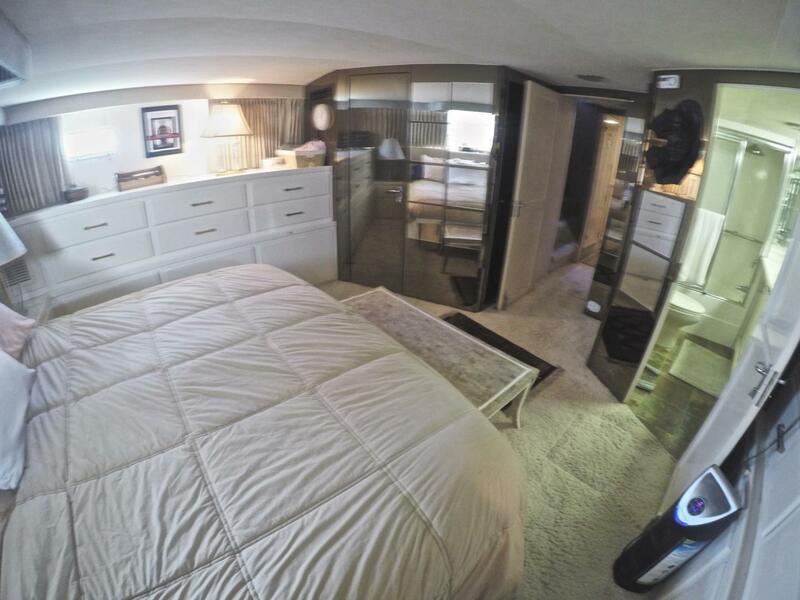 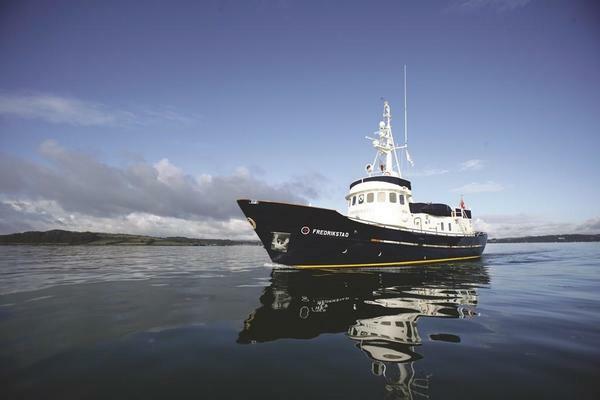 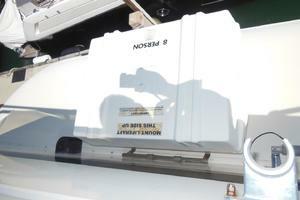 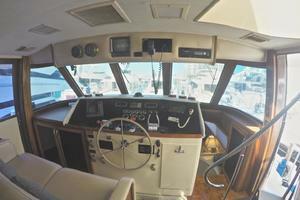 Access to the inside area is through the sliding doors located on both sides of the pilothouse. 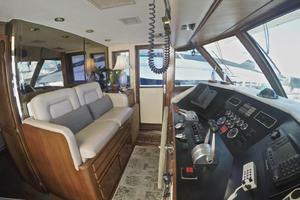 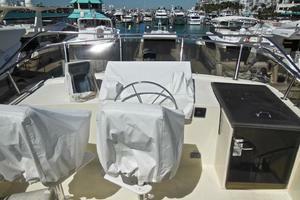 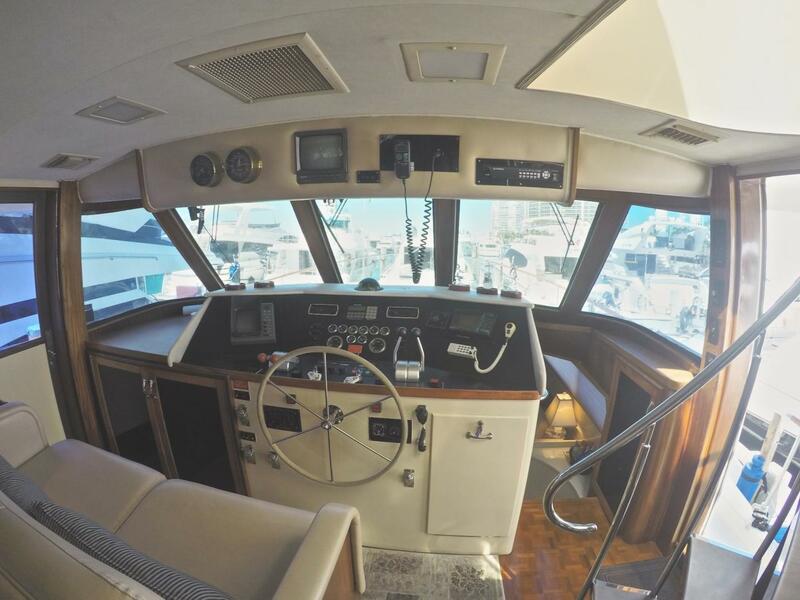 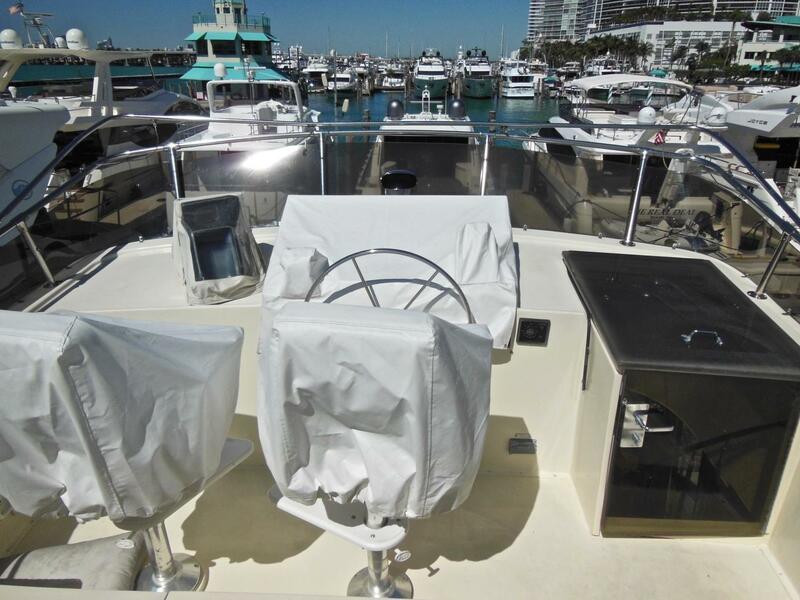 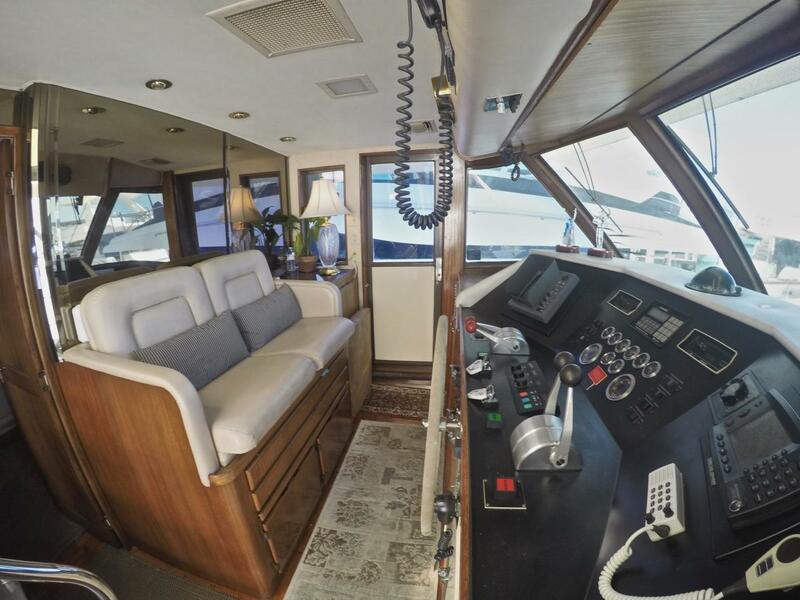 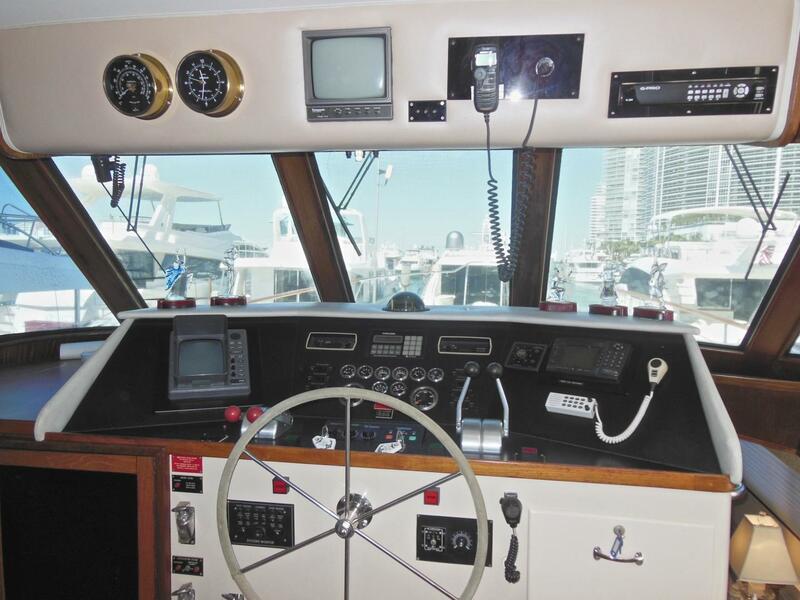 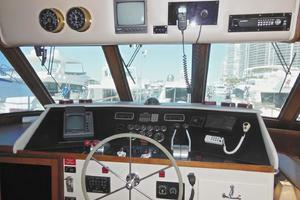 The flybridge area has the upper steering station with two pilot chairs. 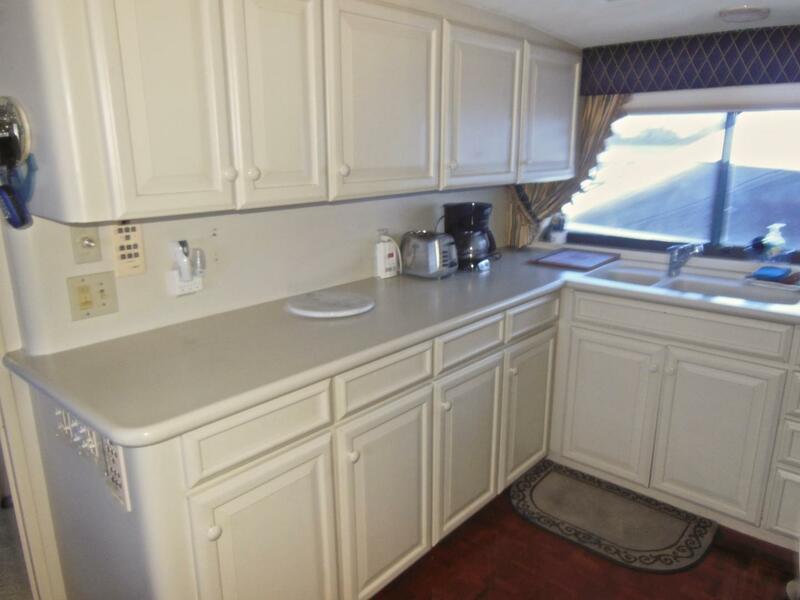 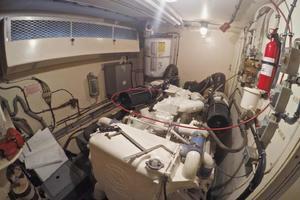 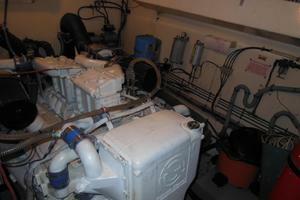 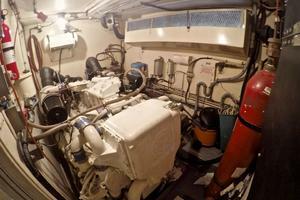 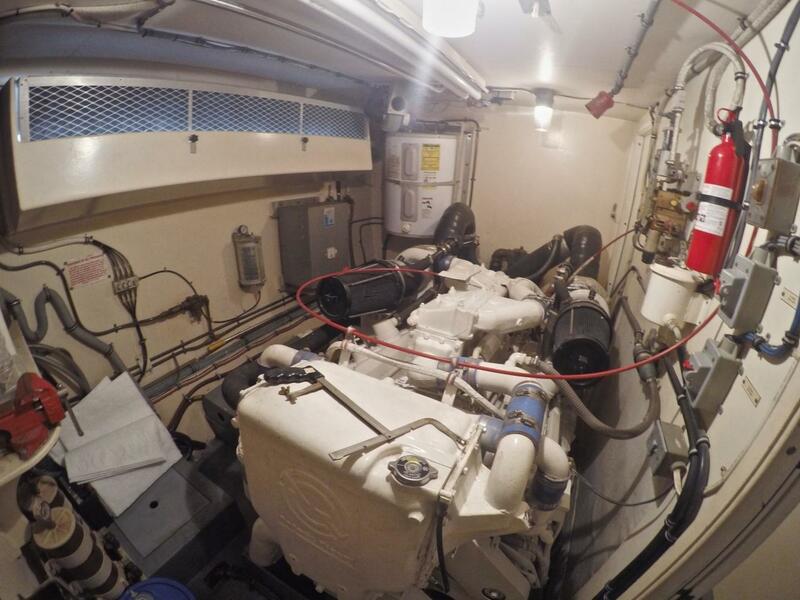 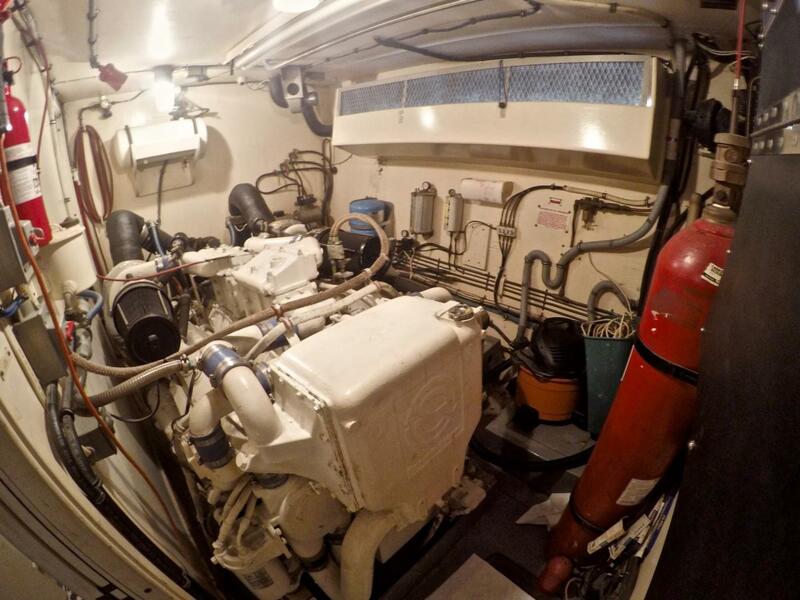 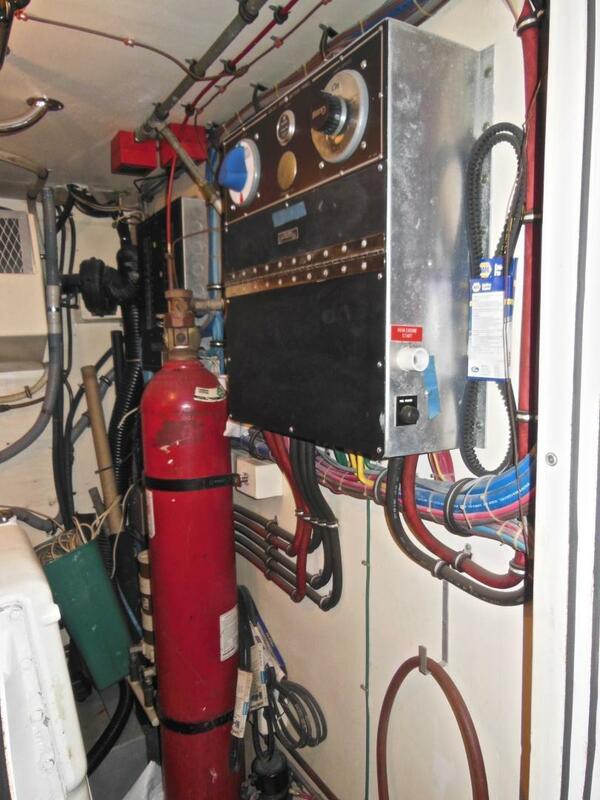 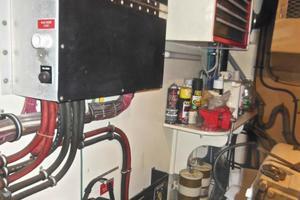 Aft of the steering station is the refreshment center with a built-in refrigerator and an ice maker. 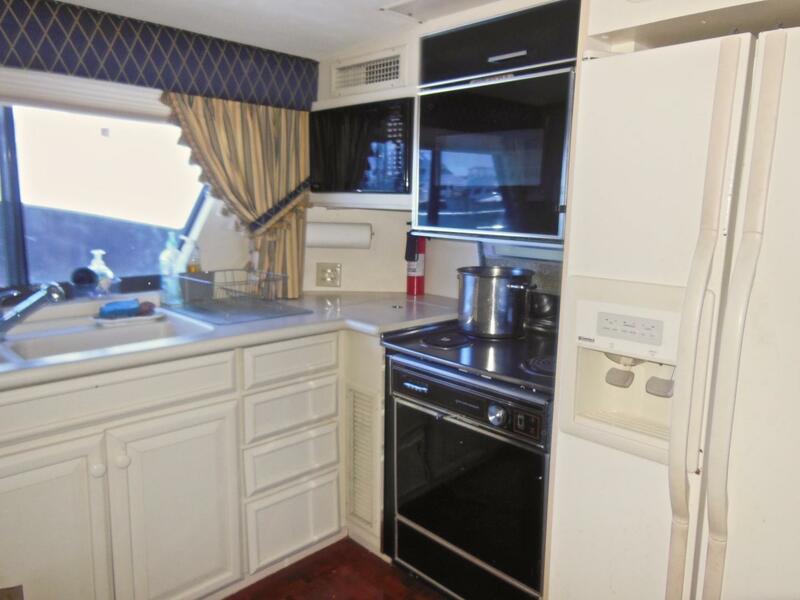 A separate sink and a built-in barbeque grill. 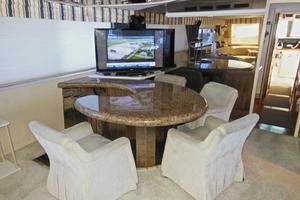 Four round bar stools and a huge U shape seating area are located towards the aft. 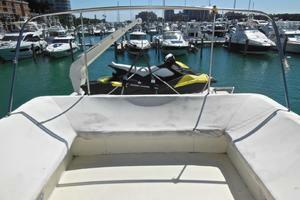 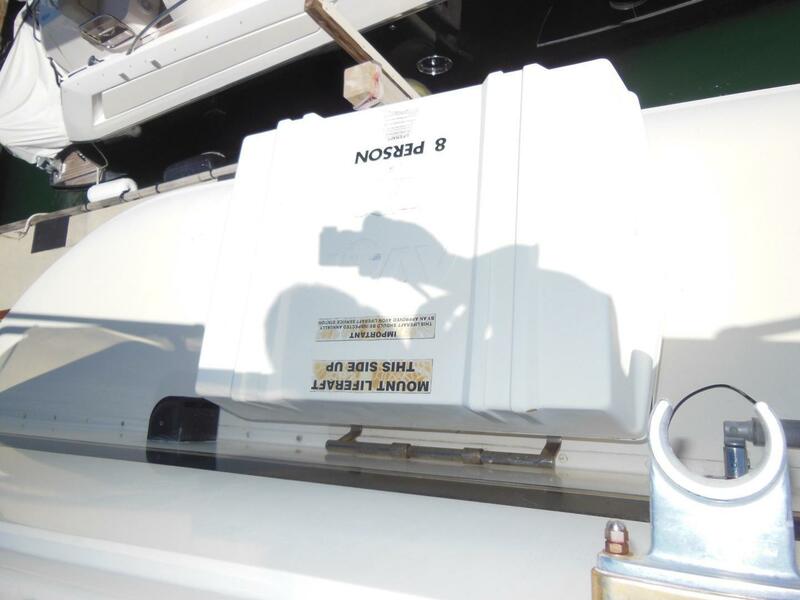 The dinghy cradle is located towards the stern. 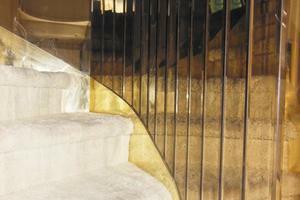 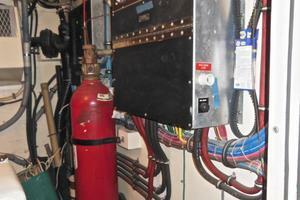 The electrical systems consist of 12/32 volt DC and 110/240 volt AC power. 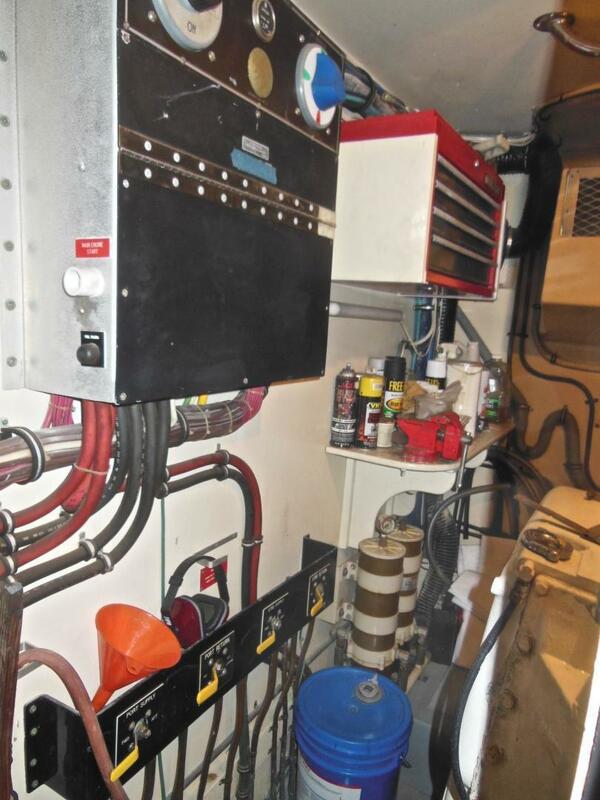 50 Amp shore power connections and an on-board 20 kW Onan generator with 2100 hrs.